Are you looking for clear braces in Basingstoke? Maybe you should consider Six Month Smiles at Bounty Road Dental. As with traditional fixed braces, they can be used to correct crooked teeth, gapped or widely-spaced teeth, protruding teeth and many other common dental conditions. However, unlike orthodox braces treatments, its approach is more focused on moving and improving the alignment of only the teeth that can be seen when you smile, rather than all of your teeth. Because of this difference in emphasis, Six Month Smiles clear braces in Basingstoke can be completed in ashorter time and atalower cost than traditional braces treatments. At Bounty Dental Care, Six Month Smiles braces treatment time will fall within 4-9 months depending on the gravity of your dental condition to be corrected. On average, it will usually take just about six months, hence the name. In contrast, treatment with fixed traditional metal braces can take as long as 2-4 years before the desired results can be seen. During your first visit for your clear braces in Basingstoke you will be given a full dental check-up. We will take photographs, X-rays and otherwise examine and evaluate the condition of your smile. Based on our assessment, we will also give you an indication as to whether or not the Six Month Smiles procedure is suitable for you. If it is, we will inform you of the likely treatment time and costs involved. If you decide this is the right procedure for you, we can begin by fitting you with the Six Month Smiles clear brackets and barely visible tooth-coloured wires. After the fitting, you will be asked to come back around twice a month until the end of your treatment for regular adjustments of your clear braces in Basingstoke. As with any braces treatment, there may be some discomfort experienced during the first few weeks following the fitting. Initially, your speech may be affected. Don’t worry though, you will get used to the braces. In certain cases, we may advise you to take some mild over-the-counter painkillers like paracetamol during this adjustment period. This entry was posted in Clear Braces on 26th March, 2018 by Bounty Road Dental Practice. No, it’s not! Contrary to popular belief, age is no barrier to a beautiful smile even if you have been over 18 long enough to have kids who are over 18 too. Clear braces in Basingstoke are being worn by more and more adults as word spreads that teeth straightening has no age limits. This is because, although they may feel like they are immovably fixed into the jawbone, your teeth can shift around throughout your entire life. It just takes some pressure to get them to move. How do clear braces in Basingstoke work? After braces are put on and start pushing or pulling the teeth, it takes around 72 hours for the nerves of the teeth to begin to respond. They tell the bone around the tooth to shift in order to reduce the pressure. The bone in front of the direction of the tooth’s pressure starts to break down, while, at the same time, the bone behind it begins to build up. Thus, the tooth moves very slowly without ever becoming loose in its socket. What are the benefits of clear braces in Basingstoke? People experience both physical and mental benefits after their get their teeth straightened. Physically, the teeth are easier to keep clean. Cleaner teeth develop fewer cavities and infections, which in turn means fewer fillings and extractions. Mentally, having their teeth straightened has been shown to greatly increase people’s self-confidence. You’ll find you’ve lost that embarrassment that came when you showed your teeth by speaking, laughing or smiling. Also, you’ll find you actually smile more and this act increases serotonin production, and more of this feel-good chemical in the body leads to more smiling: it’s a smiling virtuous circle! Six Month Smiles is used to straighten the six front teeth with brackets made of tooth-coloured ceramic, and tooth-coloured nickel-titanium wire. Treatment takes from 4-9 months. Invisalign uses a series of thin transparent acrylic trays that fit over your teeth rather than brackets and wires. Your dentist can advise you as to which system will work best for your teeth and is best suited to your needs during an initial consultation. This entry was posted in Clear Braces on 19th March, 2018 by Bounty Road Dental Practice. How long do you think braces take to straighten out wonky teeth? Three years? Two years? Surely, it’s never less than one? Well, think again, because with the right kind of braces, it can take as little as four months to realign them. Here at the Bounty Road Dental Practice in Basingstoke, clear braces are at the heart of modern dental technology, and that means speed in resolving wonky teeth. We offer a braces system that can take as little as four months to resolve minor alignment issues. Six Month Smiles is possibly the world’s most well-known braces system designed for simple realignment problems. Six Month Smiles braces in Basingstoke take only 4-9 to reposition teeth, hence the name. Although this is a bracket and wire system of braces, in Basingstoke, this does not mean that you will have to be wearing heavy, obvious and uncomfortable metal ‘train-track’ braces in order to achieve that lovely smile you want. 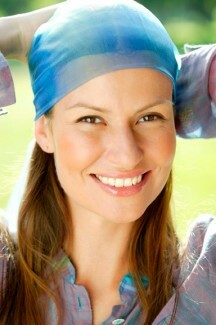 Six Month Smiles have been designed to be comfortable as well as discreet. The brackets are made of clear ceramic, and the wires are tooth-coloured. Together they produce outstanding and predictable results. Six Month Smiles braces in Basingstoke are only suitable for certain kinds of simple realignments involving the front six teeth. So, your first appointment with us is all determining whether this is the right course of action for your issues. If it is, then we can go ahead and take impressions and photos of your teeth. We send these off to the Six Month Smiles laboratory in the United States. They shape the wires and calculate the angle and position of each bracket on your teeth in order to gently pull them into proper alignment. We bond the brackets to your teeth, and fit the wires, and then your braces in Basingstoke are good to go. You will need to drop into to see us every four to five weeks for a check-in and possible adjustments. Once your braces treatment is complete, we will bond a retainer to the back of your teeth, out of sight, to stop them returning to their former position. This entry was posted in Clear Braces on 12th March, 2018 by Bounty Road Dental Practice. Many people try to live with their missing teeth, especially if the gap is not that noticeable. However, a more beautiful smile is not the only reason to get dental implants. One thing that patients need to learn is that without treatment, tooth loss can have a significant negative effect on the teeth left behind. One of the most likely complications is gum disease. After some years with missing teeth, many people find that they have developed gingivitis or periodontitis. What caused this? The link between gum disease and tooth loss is simple: when there are large gaps between your teeth, oral hygiene becomes significantly more difficult to maintain. It is much easier for food debris to become stuck in that space, which creates a breeding ground for bacteria. Plaque and tartar gradually build up, compromising the health of your teeth and encouraging infections. As your immune system attacks the infection, your gums become inflamed. Over time, this wears away at your gums (a process called gum recession), and exposes both the roots of your teeth and the jawbone to bacteria. This severe form of gum disease is called periodontitis, and it can lead to further tooth loss and a host of other health problems. • Result in serious bite problems as the remaining teeth shift to ‘close the gap’. • Affect the overall structure of the mouth. • Cause speech problems and difficulty in chewing certain foods. • Lead to significant jawbone deterioration and facial collapse over the years. As you can see, the issue goes beyond aesthetics. Replacing your missing teeth on a timely basis with dental implants is important for your oral health as a whole. Our practice can help with this; call us today, and schedule your appointment. 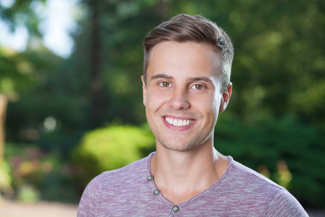 We would be glad to help you regain your smile and confidence. This entry was posted in Oral Health on 22nd October, 2015 by Bounty Road Dental Practice. People spend a majority of their days outside the home for either work or school, and neglect the state of their dental health for most of that time. Dentists always tell their patients that brushing twice a day is enough, but the fact of the matter is that dental care is a 24-hour responsibility. Patients should always be conscious of the state of their teeth regardless of where they are during the day. Now, no one is saying that patients should constantly be thinking about brushing their teeth, but they should adopt a set of habits that encourages dental health. Cultivating these habits should begin at home where there is more control, slowly expanding to outside areas in small increments. The first thing patients can do – as cliché as it sounds – is eat healthy. Most of the food that mainstream nutritionists consider as ‘healthy’ contains fewer sugars, posing a smaller threat to teeth. The best time to apply this strategy is when patients are young; it is easier to build good habits without having to break down old and bad ones first. Running along the same line of thought, another good habit is to begin including fruits and dairy in a packed lunch. The fruit will satisfy any cravings for sweets, and the milk will help keep teeth stay healthy and strong. A carton of milk or some string cheese should do the job quite nicely. The strongest form of habit reinforcement, however, is still repetition, which is difficult to keep up with. Fortunately, there is one way patients can ensure that they maintain the daily ritual of taking care of their teeth – doing it in a group. People are more likely to do something when everyone else is doing it, and having more people involved will include more heads to remember it as well. There is no need for patients to remember dental hygiene as long as they build the right habits that encourage dental health. If you want to get more helpful advice about how to improve your oral health, don’t hesitate to contact us today. Our staff is more than happy to set an appointment and answer any questions you might have. This entry was posted in Oral Health on 15th October, 2015 by Bounty Road Dental Practice. University life may be some of the most memorable years for young adults, but it might also be one of the most dangerous times for your teeth. All the late nights spent at the bars, cafes, and other hangout places could be causing huge dental problems for students, a fellow dentist in Sunderland warns. Late nights and too much alcohol, caffeine and fizzy drinks that help you stay awake could be ruining your teeth. This, along with the round-the-clock party attitude of young people and their tendency to forego proper dental care, should definitely be a concern not just for the students, but their families, as well. Dr. Ken Harris, who runs a cosmetic dental practice in Sunderland and Newcastle, explains that young people who are leaving home for the first time to go to uni are inevitably going to embrace a party lifestyle. When you party or stay up late, dehydration will likely follow, which then reduces saliva production. Not enough saliva, which protects teeth, can put you at risk of acid damage. The energy drinks you take to keep you up, even the sugar-free varieties, have certain amounts of acid in the fizz that can soften the enamel. Brush the teeth at the wrong time and you could be wearing down your teeth quicker. We understand the concern of Dr. Harris, as we also advocate all our patients—be they adults or young adults, students or professionals—to practise good oral habits. For the problems affecting uni students, we see a two-part solution. First is for parents to raise these issues to their children who may be leaving home for university. Second is that students should never compromise their health for socialising. – Wait a few hours after having fizzy or sugary drinks before brushing. Tooth enamel softened by the sugary drinks could be damaged if you brush immediately. – Stay hydrated not only for dental, but your overall health. More than saliva production, drinking water after having a fizzy drink can wash down the sugar that bacteria in the mouth feed on. – If you are experiencing a killer hangover and you need to vomit, make sure to rinse your mouth with water but do not brush immediately. – Do not forget to visit your dentist and always practise good dental habits. Student life is hard, but that does not mean you should make it hard on your teeth, too. Book an appointment today with us today and keep your teeth healthy and protected. This entry was posted in Childrens Teeth on 8th October, 2015 by Bounty Road Dental Practice. Lisps are not detrimental to your health but they can be a problem, especially if you always have to interact with people. Individuals with lisps experience the inability to articulate sibilant sounds, which include words with S’s and Z’s. Most lisps occur due to incorrect tongue placement; if the tongue is too forward or placed far back, the escape of air produces a lisping sound whenever a person speaks. Other cases involve a child’s difficulty in pronouncing said sounds, and this may develop into a habit. On some occasions, people with lisps experience a dental problem that requires immediate attention. Most lisping cases occur due to a developmental or psychological issue during childhood. Some children resort to lisping to receive attention and develop the habit of lisping during stressful situations. Lisps also happen due to breathing issues such as asthma and allergies. This leads to protruding tongues, which are culprits behind the lisps. Lisping: incorrect tongue positioning or dental problem? Tongue placement depends heavily on the correct positioning and spacing of your teeth. If the tongue is in its correct positioning but the teeth are too forward, the tongue mimics the teeth’s effect. Your tongue situates far back in your mouth, which causes the lisp. Another oral issue, Anykloglossia, can also cause struggles with the S’s and Z’s. This condition is a physical deformity with the tongue connected to floor of the mouth. As a result, it limits the tongue’s range of motion. Other issues that cause lisping include overbites and gaps between the teeth. Dental issues behind lisps are resolvable once the dentist manages to diagnose the causes. For example, Anklyoglossia only requires simple surgery to correct the tongue’s positioning. 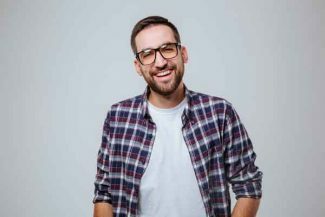 Dentists also offer easy remedies for lisps due to overbites; over the course of standard orthodontic treatments, patients can enjoy straighter teeth and lisp-free speech. In some cases, dental mechanisms such as bridges and braces can cause lisps. Orthodontists often make adjustments to the positioning of the bridge or braces to correct the problem. Perfect yours S’s and Z’s by addressing your dental need immediately. Bounty Road Dental provides the necessary treatment that corrects your lisp and provides a better smile at the same time. Get in touch with us now. This entry was posted in Dentist, Lisping on 1st October, 2015 by Bounty Road Dental Practice. Tooth Decay Crisis for British Kids: What is Causing It? Tooth decay is one of the serious health issues for children in the UK. As a matter of fact, the 2013 Children’s Dental Health Survey for England, Wales and Northern Ireland revealed that around 46% of 15-year-olds had tooth decay. In addition, about half of eight-year-olds and a third of five-year-olds have dental caries in their milk teeth. Researchers noted that the lack of proper diet is the main cause of rising cases of tooth decay in early childhood. Parents give sweets, juices, fizzy drinks and other sugary substances to their kids above the prescribed amounts. That, and the lack of information on proper diet, cause kids to lose their milk teeth early as a result. Fear of the dentist is another culprit of tooth decay. The National Heat Service noted that one in four people dreaded a visit to the dentist. Some people miss dental appointments for years due to perceived pain from dental instruments and treatments. Since their teeth lack proper oral care, they become more susceptible to dental caries and other oral diseases. Researchers blame the high incidence of tooth decay to differences in income as well. 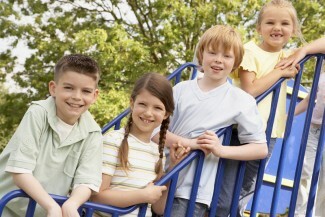 Kids from families with lower financial capacities will more likely suffer from tooth decay. The lack of means affects their access to quality dental care. A survey by Health and Social Care Information Centre revealed that five-year-olds from more deprived families had higher cases of tooth decay (41%) compared to less deprived families (29%). Among all the causes cited by researchers, they found neglect as the proximate cause. Some parents do not make the effort to know the recommended sugar intake and maintain the oral health of their kids. In fact, some researchers cited that the reason kids nowadays have multiple teeth extractions is because parents delay dental appointments until problems get obviously worse. Realising these issues, dentists encourage parents to supervise oral hygiene and allay their kids’ fears of the dentist early. They should demonstrate or brush the teeth themselves until kids reach age 6-7. In addition, they should give less or no sugary food and drinks to their kids. Dental appointments are strongly encouraged as soon as teeth start to show. Tooth decay of kids in the UK is now a cause for national concern. Do not let your kid become a statistic. At Bounty Road Dental Practice, we can help save your kid from the scourge of dental caries. We apply safe and almost painless dental treatments to help maintain and improve your child’s teeth. Click here for more information about our dental treatments. This entry was posted in Childrens Teeth on 24th September, 2015 by Bounty Road Dental Practice. Many people are apprehensive about visiting the dentist for a regular examination. Even more so once they learn they need to undergo a treatment for an existing dental problem. This anxiety is the reason many patients delay treatment. While some dental interventions can wait, others, such as a root canal, need urgent attention. If your dentist recently informed you that you need this procedure, you must take action. Otherwise, it can lead to harmful consequences. In most cases, root canal therapy is required due to the infection of the tooth’s nerve tissue or pulp. Generally, it is the result of a deep decay or a fracture. Once the infection takes hold, the bacteria break down the tissue, slowly killing it. This process does not stop or reverse unless a dentist performs the necessary treatment and removes the infected nerve. Otherwise, the infection will continue to spread and damage the tooth. The infection causes a lot of pain, and for some, it can be debilitating. As the infection worsens, the level of pain only increases, especially when abscess has started to form at the tooth’s root. One of the purposes of removing the infected nerve is to relieve the pain, allowing the patient to bite and chew normally again. Sometimes the pain goes away on its own; it does not mean the underlying problems are gone. When pus-filled abscess begins to develop, this means the infection has significantly worsened. Extreme cases can lead to a systemic inflammation, at which point you become at risk for heart disease and stroke. Considering its capacity to save your tooth and restore its functionality, we advise you to undergo root canal treatment as soon as possible. Contact Bounty Road Dental Practice today so we can set an appointment for you. This entry was posted in Root Canal Therapy on 17th September, 2015 by Bounty Road Dental Practice. A child’s character, skills and inclinations start to show early; the same can be said about their habits. To illustrate, teaching your child the pleasures of reading encourages them to grow up with a love for books and the written word. By training your child to see the good in the others all the time, they will grow up kind and giving. Invariably, teaching your child good oral habits early on will also lead to them growing up with a better sense of hygiene and—genes not withstanding—a more beautiful smile. Bounty Road Dental Practice, Basingstoke’s oldest dental practice, shares tips on how parents can help their child be better brushers. Yes, you read that right and yes, it is all okay. You should already be wiping their baby gums and cheeks with a soft and moistened washcloth long before their first tooth even erupts. Do this after feeding to remove plaque and excess milk or formula. Practicing this will get your baby used to oral stimulation. Many parents take this for granted and expect a toddler to adapt to the strange and new feeling of the bristles against their teeth once there are enough teeth. This will be helpful once you introduce to the child toothbrush later on. Once the little ones learn how to use their toothbrushes and are familiar enough with the routine, teach them how to do it properly. Chances are, if you start out early and teach them well, the children will enjoy brushing their teeth and even chew on the toothbrush, causing the bristles to splay. It helps to have two toothbrushes for them and use the second toothbrush to do a thorough brushing when they are done doing it on their own. We recommend parents to help their children with brushing until they are about 6-8 years old because not all kids have the manual dexterity to do a good job alone. Children enjoy flavours. The right toothpaste flavours will not only increase their interest in the good habit of regular brushing, but will also make them look forward to brush time. As the oldest dental practitioner in Basingstoke, we want the best for you. We want your children to grow up with a healthy set of teeth and gums, as this is a valuable asset for everyone. For more information, advice and state-of-the-art dentistry, contact us today. This entry was posted in Childrens Teeth on 10th September, 2015 by Bounty Road Dental Practice.